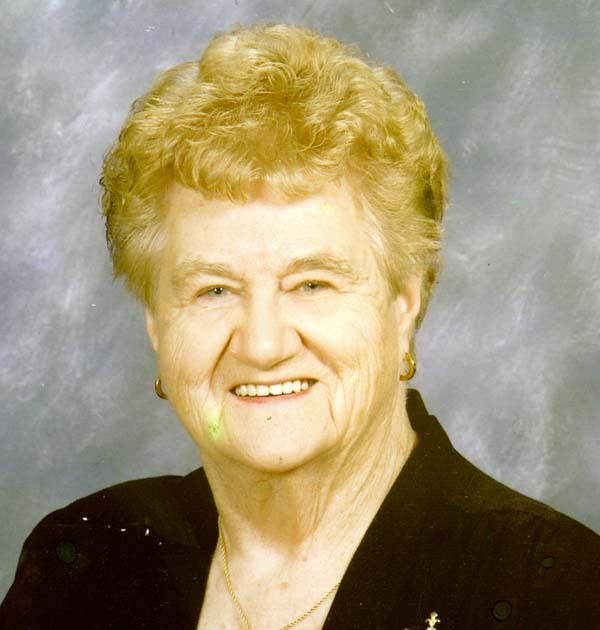 Helen M. Harrington passed away peacefully on April 6, 2019 with her loving family by her side. Helen was a lifelong resident of Hope-Northville, New York area. She retired in 1991 after 27 years of making tapes and records for Decca/MCA Records. Helen had a few hobbies, one in particular was TOPS. She started her own chapter in Northville in 1994 where she became a charter member. Her passion was always trying to help and encourage people to lose weight. She always thought of each member as her extended family. She also loved playing bingo, enjoyed gardening and planting her beautiful flowers in front of her house. Helen married Walter Harrington (Dimage) on November 13, 1948. Together they went on to raise six children. They loved going to watch the kids play sports, enjoyed each other’s company on long trips and coming home after picking fruit. She is survived by her brother, John (Joan) Stuart of Hope; sons, James (Candee) Harrington of Northville, Dennis (Cheryl) Harrington of Northville and Michael (Patty) Harrington of South Glens Falls; 15 grandchildren; several great-grandchildren and several great-great-grandchildren; several nieces and nephews. Helen was predeceased by her husband, Walter Harrington; daughters, Linda Quick Harrington and Carol Anne Harrington; son, William Harrington; brother, Thomas Stuart; and sister, Dorothy Ellsworth. Family and friends are invited to visitation on Tuesday, April 9, 2019, from 2 to 4 p.m. at the Northville Funeral Home where a funeral service will be held at 4 p.m. Burial will take place in the spring in Wadsworth Cemetery, Hope, NY. In lieu of flowers, memorial contributions may be made to the Northville Funeral Home to help offset the funeral expenses or Mt. Valley Hospice. Condolences may be made to the family online at www.northvillefuneralservice.com.